"A wall of water 100 feet tall inundated the village of Lampuuk in northern Sumatra on December 26, 2004. 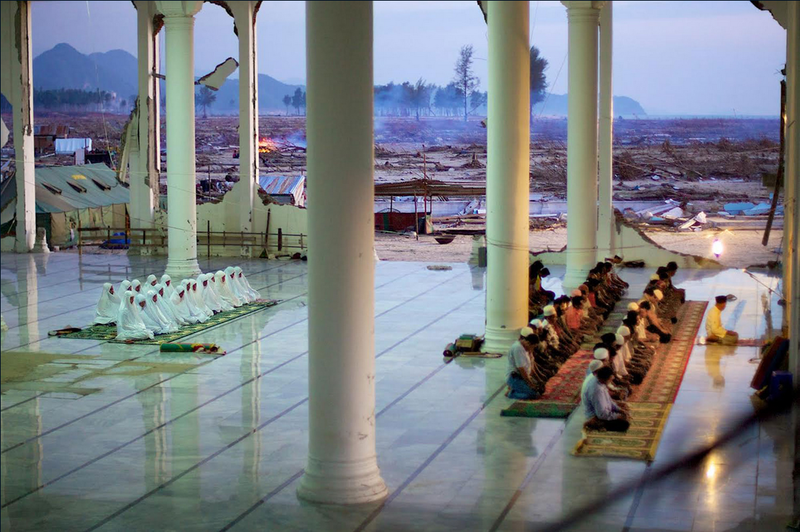 When the ocean receded, the only structure remaining was this mosque. Some called it mystical, others fate. 7,000 residents once called Lampuuk home. In this photograph are the thankful few who survived, saying evening prayers while fires still smoldered in the devastated landscape through the shattered walls of this holy place. I learned a great deal during many months covering this tragedy, a disaster where there was no one to blame. Such events solidifying how precious our time is, reminding us how astonishingly alive is our earth, how nature gives but also takes, and how important it is for all of us to to hold sacred this gifted period we have to do something, no matter how grand or small. Each day I’m thankful for the simple act of waking up and putting my feet on the ground. One day I won’t. Accepting and thankful for whatever time I’ll be given, hoping I am humble enough, thankful as surely these women and men who went on to dream and live another day." "A single conversation ten years ago changed the course of my life. 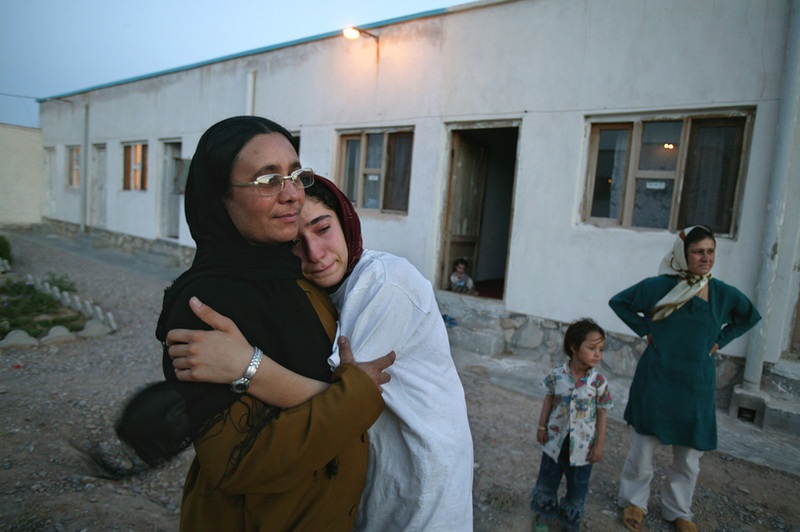 Mejgon’s story wasn’t a happy one; she was married off at 11, and at 15 years old she was living in a shelter, home to several Afghan girls who’d escaped their marriages. When we met she said, “In my whole life I have never felt love.” In the years that followed, I carried her devastating words in my heart and saw them echoed in the faces of child brides around the world as my personal photography project slowly turned into something much bigger—moving from a story in National Geographic to an international advocacy campaign and nonprofit called “Too Young to Wed.” Last week, the United Nations general assembly adopted a historic resolution to end child, early, and forced marriage. I am grateful for Mejgon’s friendship that day and the impact she has had on my life and my work. Her inspiration continues to help women and girls around the world." Until recently, the cave was managed responsibly. The human impact was minimized as much as possible, local guides and porters were employed for expensive guided excursions, and money was earned. Now, though, Sun Group and the Austrian Doppelmayr Company are planning a six-mile long cable car. 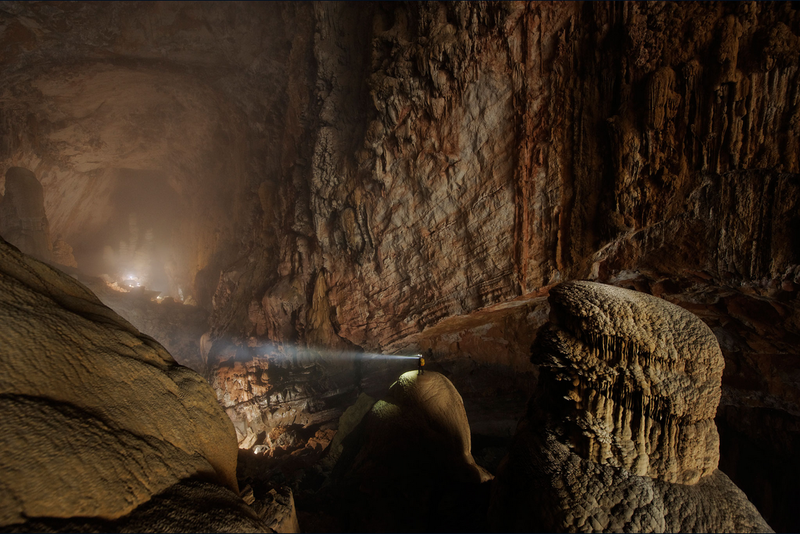 It will transform the cave in a mass tourist attraction and change the delicate ecosystem and structure of the cave dramatically. As a nature-lover, these developments are depressing in the worst way. I feel responsible. I always thought showing natural beauty would generate respect and awe and contribute to the protection of the environment. In this case, I feel, I totally failed: Maybe without my coverage this development would never have gotten this far. I would be thankful if you would support me and the protection of this unique natural monument, and sign this petition to stop the construction." 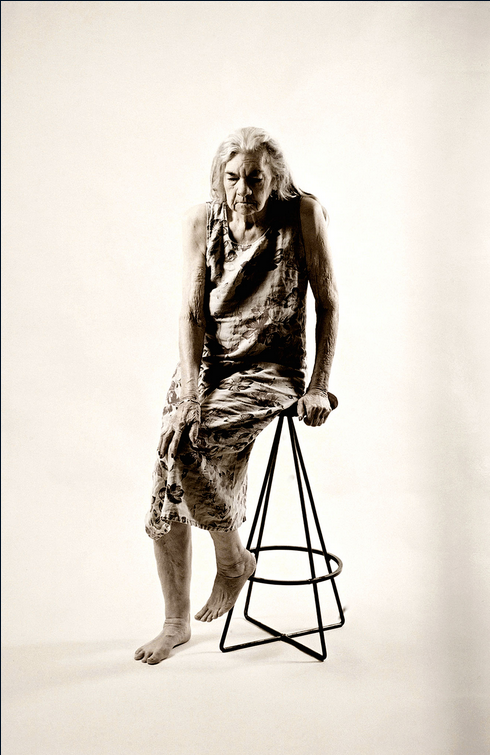 "In the midst of her memory loss, my mother Madje posed for me during a weekend visit to my home in Miami. I wanted a simple picture of my mother. I sat her on a tall stool and photographed her against a white backdrop. I had been photographing throughout this melancholic voyage of dementia to help me get through it, being the only child of a single parent, and just to make new memories for myself. After I shot the photo, I can’t even say why but I asked my mother to remove her dress. Without missing a beat, she took the dress off and sat back on the stool naked. I was astonished but I took the picture because she was so beautiful—the vessel that brought me into life. I wanted to remember this. I will never show that photo to anyone. It is just for me. That moment was an epiphany. My prim and proper mother who would never have done this, was gone. In her place stood a Madje I saw anew. The mother-daughter travails we had experienced disappeared. No longer my mother, Madje was her own woman. Memory loss is sad for all but there can be gifts as well that allow us to celebrate a life and to be the warrior on their behalf to the end. I’m grateful for this photograph but more importantly, the experience and the memory it left me." 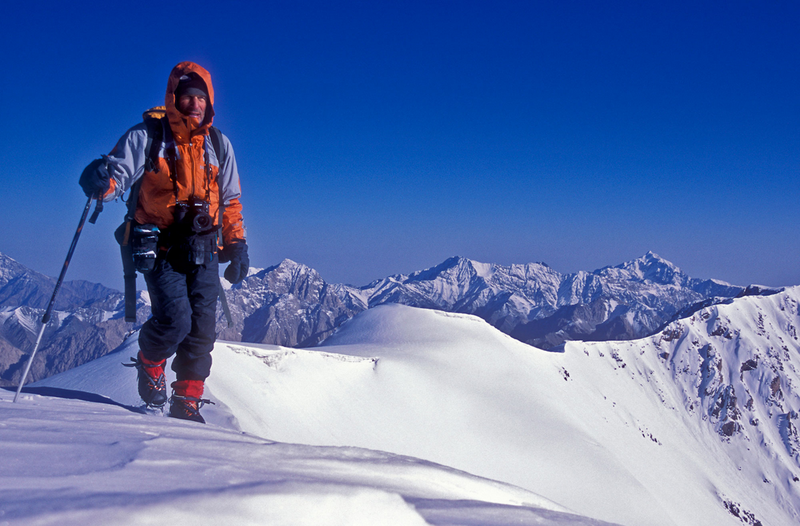 "I shot this image of Galen Rowell in 2002 on my first National Geographic expedition crossing the Chang Tang Plateau of Tibet with Galen, Rick Ridgeway, and Conrad Anker. Galen was a hero of mine. I never imagined I would get to meet or work with him, much less go on an expedition with him. We spent a month tracking the endangered Chiru and successfully discovered their birthing grounds, which we aimed to document and protect from poachers. We were completely exhausted from hauling 200-pound rickshaws over 300 miles at more than 17,000 feet. Looking at the map, we still had over 100 miles to go over the Kun Lun mountains to get to our pick-up point up. True to form, on our way out, Galen looked up at the biggest mountain in the range and said, “Let’s go climbing!” I was sure I had misheard him, but I hadn’t. We changed trajectory and headed towards a huge unnamed, unclimbed 20,000 foot-plus peak. After two days of climbing, I burrowed through the summit cornice and happened to see Galen coming up the ridge another way. I barely got the camera out in time to snap this quick shot of Galen, in his element, stomping up the mountain. We climbed the mountain, named it Chiru Peak, and eventually made it back to civilization. Sadly, Galen died a couple months after the expedition in a plane crash. I was devastated that my mentor and new friend was gone. National Geographic decided to use this photo as his tribute photo, and it became my first spread in the magazine. I felt like the photo was his last gift to me and seemed to be the closing of a circle. I was sad Galen never got to see the story or my image published but the Chang Tang expedition, my time with Galen and this photo, changed the course of my career. I have much to be thankful for." "I took this picture during an introduction to color photography and printing class in 1995, when I was 19-years-old. The assignment was to create an altered landscape. At the time, I was using artificial lighting to see how colors on film could be enhanced and change. 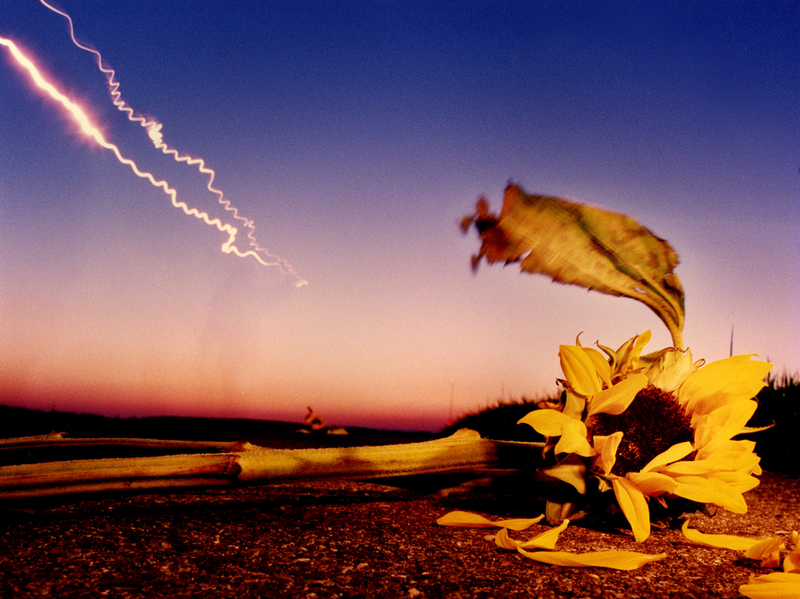 In this specific image I lit the sunflower with a flash and walked through the frame with a flashlight to create the light in the sky. But these are all technical things. This picture became an early turning point in my visual literacy. I knew enough to know that photography could transport you to another place, time, and emotional state. However, I had only experienced this in the images of others. Those images inspired me, but there is no class, textbook, or technique that can teach how to do this. It is a gift that is given when you are finally ready to make that leap yourself as an aspiring image-maker. With this photograph, I remember feeling that for the first time I had finally been able to reveal the world that I had experienced during the moment I made the image. I was also able to reveal a part of my emotional state. This image was pivotal in helping me believe that it was possible to make images that brought people into other states of mind. Even for a moment." "When I was 17-years-old I volunteered at an orphanage in Central Mexico. 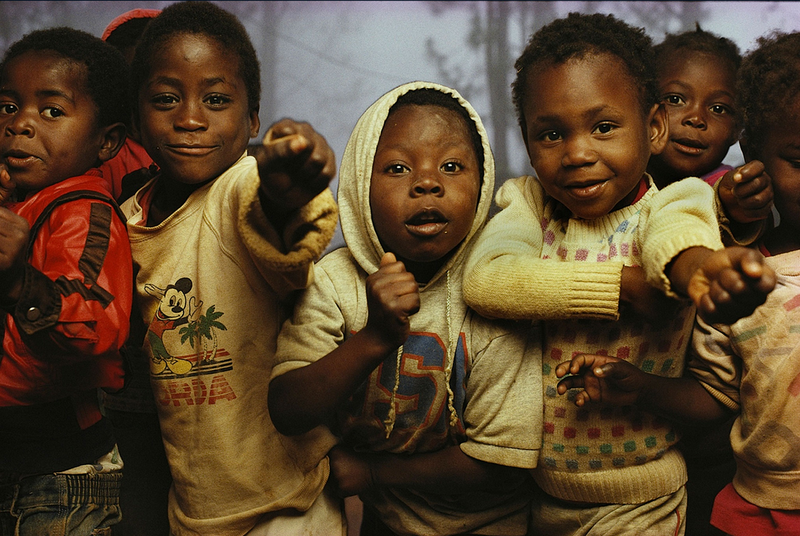 Later, when I was striking out on my own as a photographer, I heard the same orphanage also had a home and hospice for children in Haiti. I decided to go and give something back by photographing a story to bring awareness and funding. In Port-au-Prince, many of the children at the orphanage had been abandoned on the doorstep of Mother Teresa’s Sisters of Charity. Families had no money nor means to care for these children. When I first met the boy in the Mickey Mouse shirt he hadn’t spoken for six weeks – he was so traumatized by the experience. 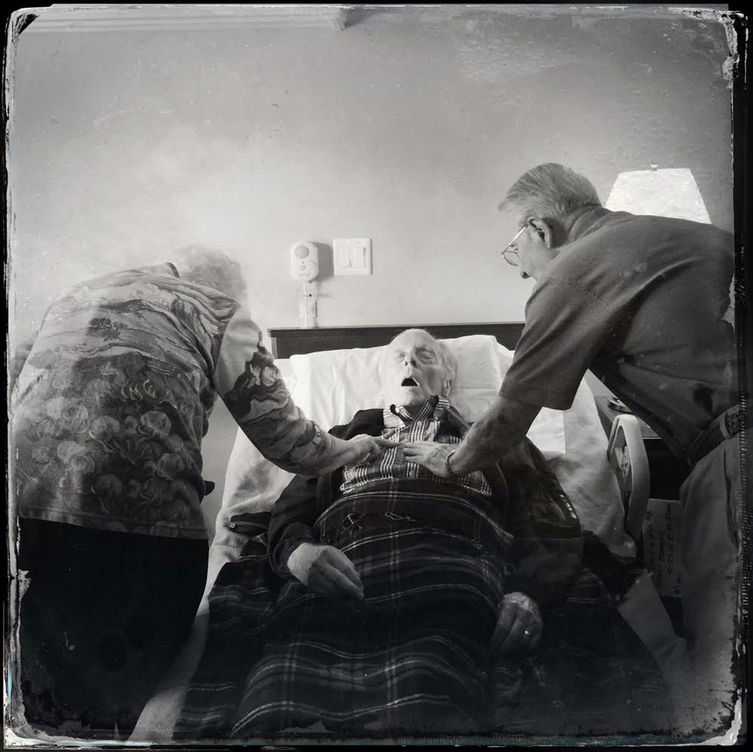 To be able to photograph the sisters at work, I first had to work at the hospice and clinic to show that I was serious about what I was doing. Those were the rules. Working in these various aid centers brought out emotions deep inside me. The last day I was there I took this portrait of some of the kids I got to know. The little boy with the mouse on his shirt spoke that day and gave me a hi-five when I left. I will always remember this, and my time in Haiti, with great joy. I received so much more than I could ever give back. It was a life changing experience. Thank you." "In 1980 I was living my dream. My images were wild, but with no real purpose. Then, I went to Rwanda with Tim Cahill for Geo Magazine. I proposed a story inspired by a childhood of looking at National Geographic magazines, and a fascination with Leakey’s Great Ape women: “Fossey, Goodall and Galidkas.” I wanted to take my wild heart and document the mountain gorilla, but I had never photographed wild animals. Tim and I dove into the dark bamboo and experienced the birth of ecotourism, a movement that would save the almost extinct Mountain Gorilla. I would go out everyday to photograph the very shy, only slightly habituated gorillas and make one bad image after another. I often visited a nervous young Silverback named Mirithi. Pre-digital by about 25 years, it was almost impossible to capture the black gorillas in the dark forests. The lack of light had me shooting at impossibly slow settings and using a flash would have scared the shy animals. Photography is all about moments and at one point I was so close to Mrithi that the frame filled with his black face, but while the shutter was open he moved slightly. 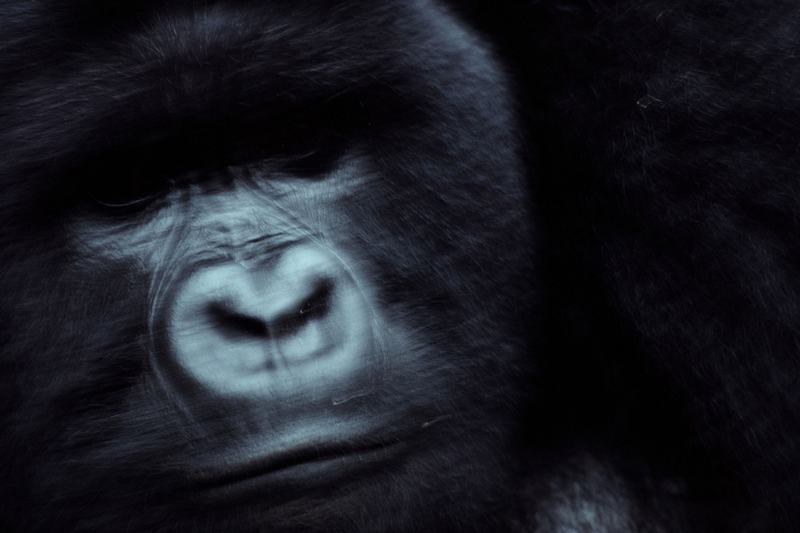 Somehow the photograph worked and became the lead for the story “Gorilla Tactics.” To this day, the photograph continues to hold up for me. This image was my entry into photography, National Geographic, and making images that speak for those that have no voice." "Whenever I travel to the polar regions I am always secretly hopeful that the dire predictions and forecasts scientists have been warning us about, will somehow be less worrisome than the last time I was there. Sadly, during my trip last summer to Svalbard, Norway this was not the case. Not only was this the year in which I saw more dead polar bears than in the previous 25 years I have spent roaming the Arctic, it was also the first ice-free summer I spent in the Arctic. The reasons are simple: for polar bears, survival hinges on their ability to find, stalk, and ambush seals, their main prey, and this can only happen if there is a healthy layer of multi year or annual sea ice that they can use as a hunting platform. In the polar regions, ice is like the soil in a garden; it is the substrate that supports all life and more and more we are seeing vast expanses of the Arctic that are ice-free during the summer months. 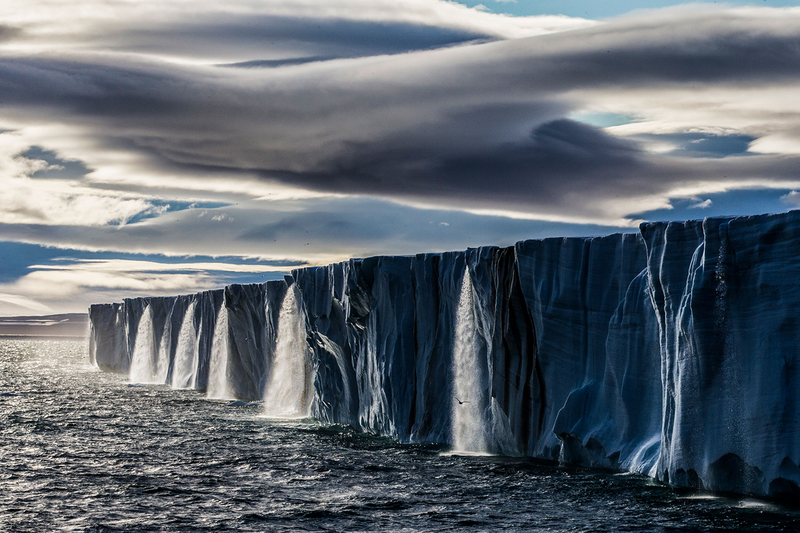 As our ship approached the massive ice cap in Nord Austlandet, I was shocked to see a string of waterfalls that straddled the entire expanse of the melting ice cap. I suppose it is true that “seeing is believing” so the silver lining for me was that through SeaLegacy I was able to show one of our donors first-hand how her support helped raise awareness and build constituencies of support for climate action. While some people vilify change, others resist change, others are victims of change, and others inspire change, I can only aspire to drive change through imagery and storytelling." "This photograph was not taken on assignment. This is my father, Jack, and at the moment I took this photo I thought he was dying. On one side is my mother, Jane. She and my father, wed for 67 years, have been together since the instant she saw him at the top of a junior high school stairway wearing a white shirt with the sleeves rolled up. On the other side is Charles, a new and stalwart friend. Jane and Charles are working to keep Jack alive; one by calling his name, the other by reporting the latest football scores. Just months before, I had documented the death of Phyllis, a friend’s mother, for a National Geographic assignment about the end of life. From hearing Phyllis’s last breaths—a fragment of audio seared into memory—I realized that my father was slipping away. I ran for help. As we waited for the paramedics, I took this picture with my phone. They arrived, attaching tubes and wires. Then the ER, oxygen, fluid. Life. Later I called my friend, Phyllis’s daughter. “Your mom just saved my dad.” Silence, as we considered that, even though Phyllis was physically gone, her spirit still had life giving power. Jack, Jane, Charles, Phyllis. Thanksgiving."